Numerous Belgian fans insulted, made obscene gestures and even threw beer to the Dutch cyclist during the Cyclocross Worlds in Bogense. The celebration of the absolute men's World Cyclocross event in Bogense left us, in addition to the title of Mathieu Van der Poel, several unwanted images during the race. 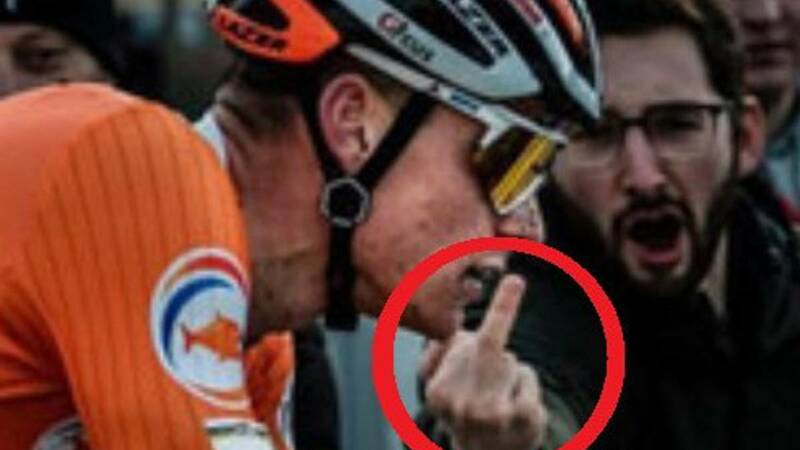 Van der Poel had to endure during the test numerous insults from Belgian fans and even in the television images he is seen making obscene gestures. Adrie Van der Poel, father of the cyclist, also commented that his son was thrown beer during the test. After learning what happened, the Cycling Federation of Belgium issued a statement lamenting the performance of these fans. "It is unfortunate that some fans, fortunately, a minority do not have the same point of view. Nobody, including the Belgian Cycling Federation, benefits from unsportsmanlike and offensive behavior The vast majority of Belgian fans who traveled to Denmark did of the Bogense World Cup a popular festival. It is unacceptable for a few people to break that unique atmosphere and the Belgian Cycling Federation wants to apologize for it ".